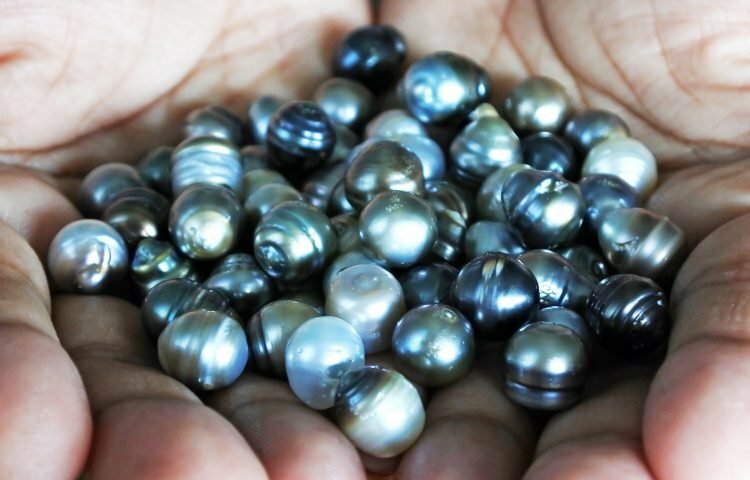 There are many different Tahitian pearl shapes. The process of farming these rare types of pearls takes a significantly long period of time. It takes about 2-3 years for a pearl to completely form with the Tahitian oyster. This helps to dictate the size of the pearl it produces. Due to this long period of Tahitian pearl farming, imperfections in the Tahitian pearls tend to occur. An experienced buyer or jeweler will sift through the pearls and sort them out. The goal is to find match-like sizes in order to create an awesome pearl necklace or other fine pearl jewelry. 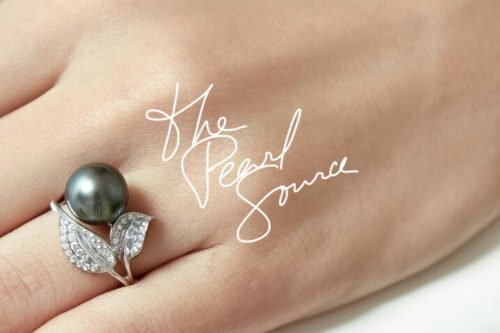 When it comes to a Tahitian pearl shapes, the round ones are the most sought after type on the market. However, it is worth noting that the choice and the preference of the Tahitian pearls depend on the consumer. Every individual has a different taste and preference. 1. Round Pearls – The perfectly round pearl is the market’s favorite pearl, based on sales, supply, and demand. Shape might not only be the factor to be considered when placing value on these gems. Luster, size and surface quality may also come into play. Due to the high demand of round shaped pearls, supply is very limited. This makes the round pearl the most expensive and high ranked pearl shape. 2. Semi-Round Shaped Pearls – Another common shape is the semi-round shaped pearl. This is the second highest-ranked pearl, as far as its shape is concerned. It’s nearly round, yet not quite perfectly round. 3. Button Shaped Pearls – The button shaped type of pearl is similar to semi-round, but it resembles the shape of a button. These types of pearls are expensive, but not more expensive than semi-shaped and round types of Tahitian pearls. 4. Pear Shaped Pearls – A pear-shaped pearl looks like the fruit itself. On a close look, it will seem to have an extended drop of water from a tap on it. They are the fourth ranked in terms of prices. 5. 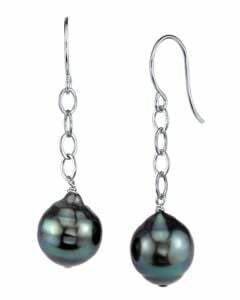 Drop Shaped Pearls – The drop shaped pearl, is also another shape of a Tahitian pearl. It looks like a perfect drop of water dripping from the tap. 6. Oval Shaped Pearls – These types of pearls resemble the shape of an egg. Their outlines are slightly elongated and rounded. 7. Baroque Shaped Pearls – A baroque pearl’s shape looks imperfect as the pear-shaped pearl, but it has an extended head on one side. There’s also the semi-baroque shaped pearls, which are a tad bit different in shape. 8. Ringed Shaped Pearls – These pearls get their name from the circular ridges running through them, which look like little rings around the pearl. Ring-shaped pearls resemble semi-round pearls, yet they contain circular “rings” around them.